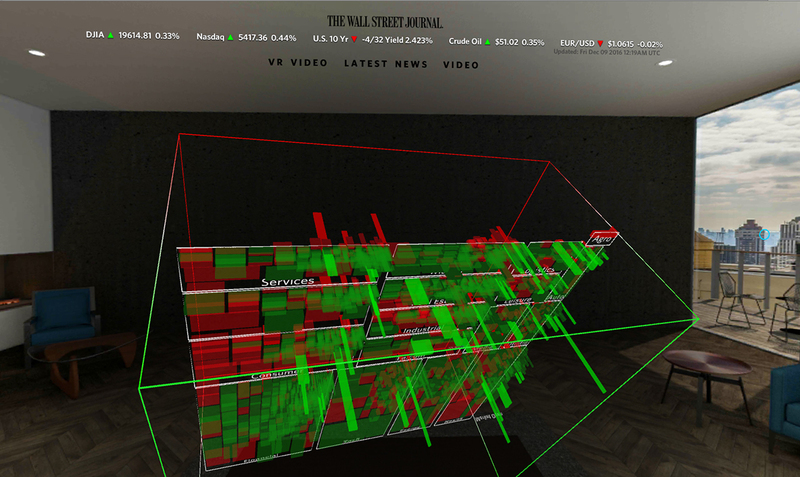 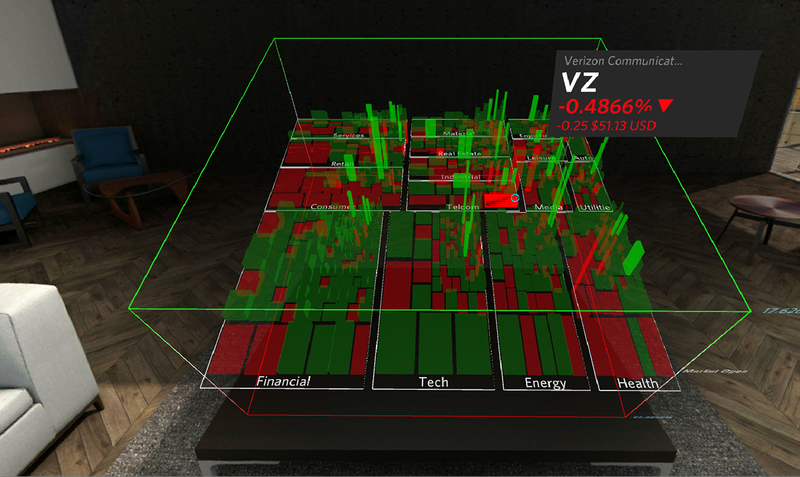 To bring the WSJ to life for Google Daydream users, the Journal partnered with Emblematic to develop a VR app that puts viewers inside a 3D visualization of the U.S. stock markets with breaking news, live markets data and 360-video. 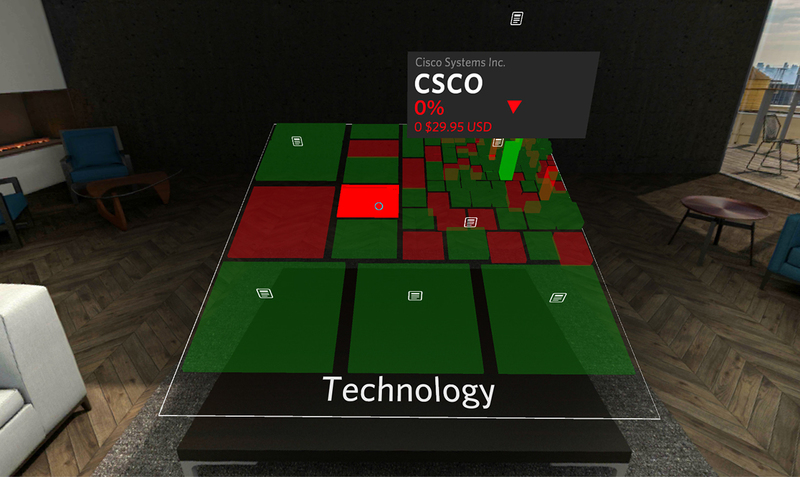 Viewers can step inside a virtual room specially designed for the app and stay informed with breaking news, follow the markets with a live markets data visualization and immerse themselves in compelling narratives with interactive 360-degree videos. 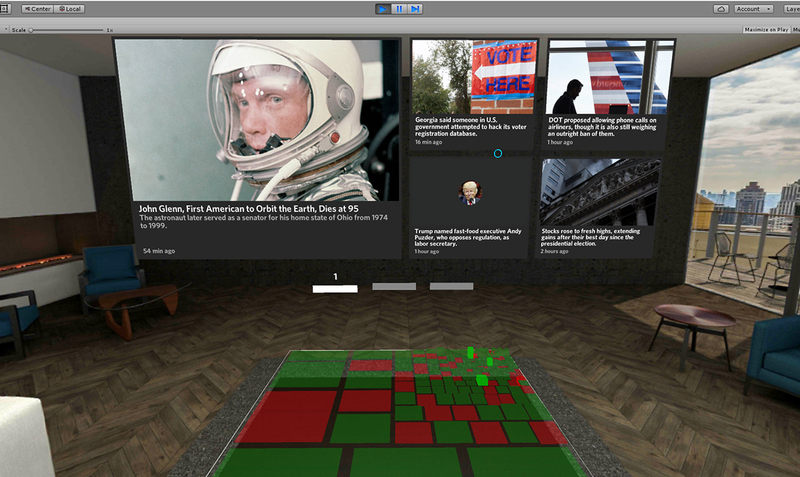 The room is modeled on an actual penthouse designed by the prestigious London-based architecture firm Michaelis Boyd Associates.